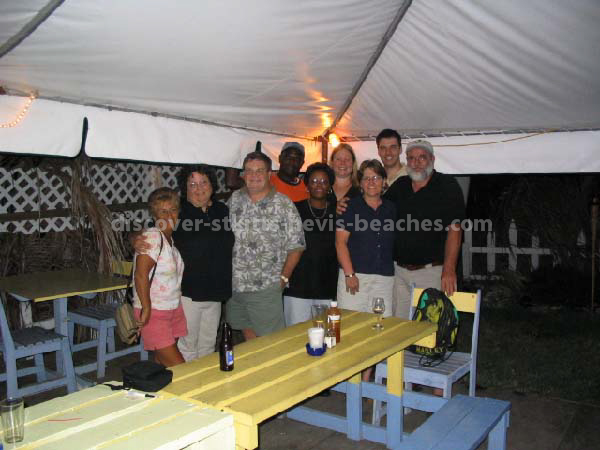 Attention members, friends and guests of the St Kitts Nevis Forum at Discover-StKitts-Nevis-Beaches.com and Myeyez.net. 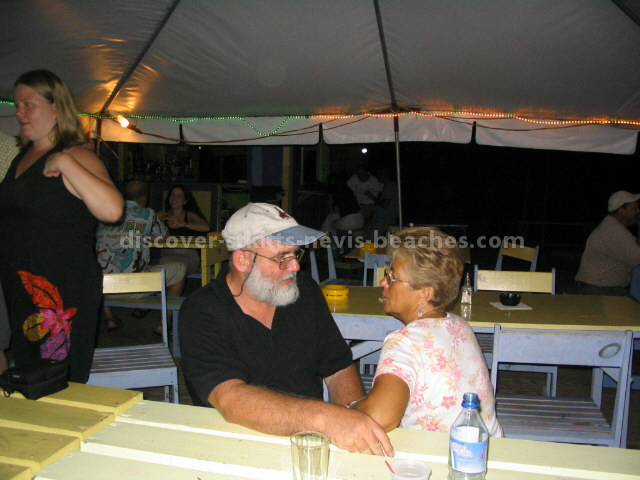 Enhance your stay in St Kitts Nevis by linking up with other forum members who reside in St Kitts Nevis, or those who are visiting these two beautiful Caribbean islands at the same time. 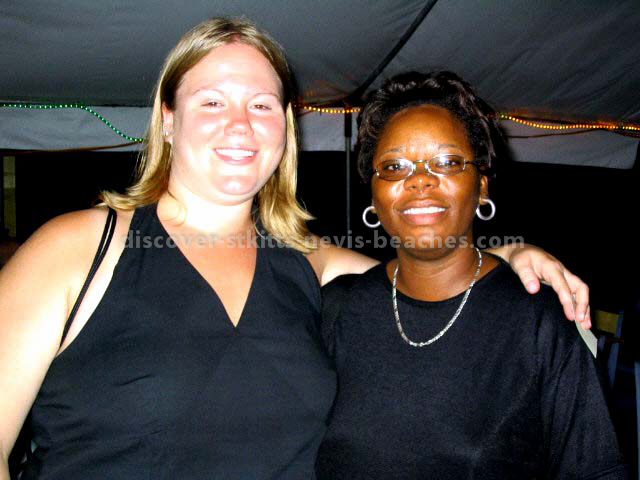 Would you like to match faces with the names of those who actively engage in friendly and fun discussions about St Kitts and Nevis in the online forums at Forum.Discover-StKitts-Nevis-Beaches.com and Myeyez.net now SKN Myislands? 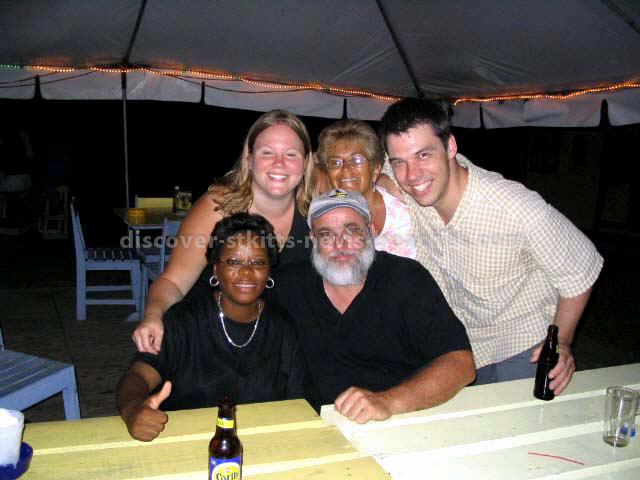 You too could be a part of the fun face to face gatherings in St Kitts and Nevis. 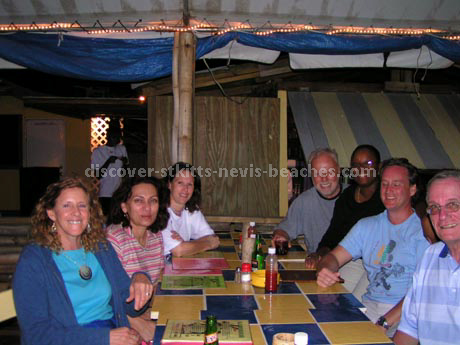 Join the St Kitts Nevis travel newsgroup at Discover-StKitts-Nevis-Beaches.com and tell us about your plans on the "Link Up" board. 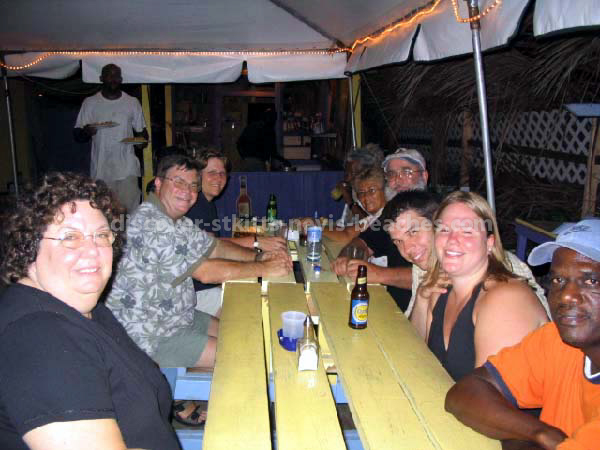 Below are photos from a gathering of forum members at Mr X Shiggidy Shack Bar and Restaurant at South Frigate Bay on August 9, 2004. Please click the appropriate link to view photos from other link up gatherings.